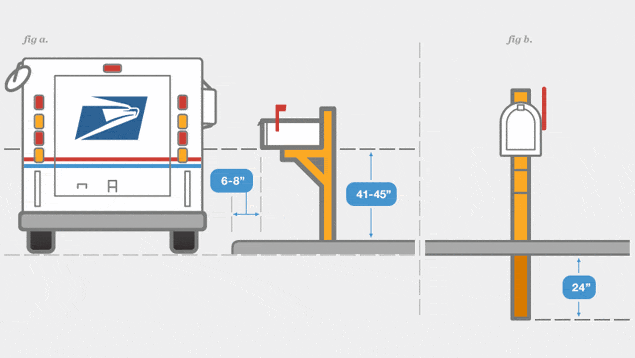 A quick search on Google gave me these directions for placement of a mailbox. 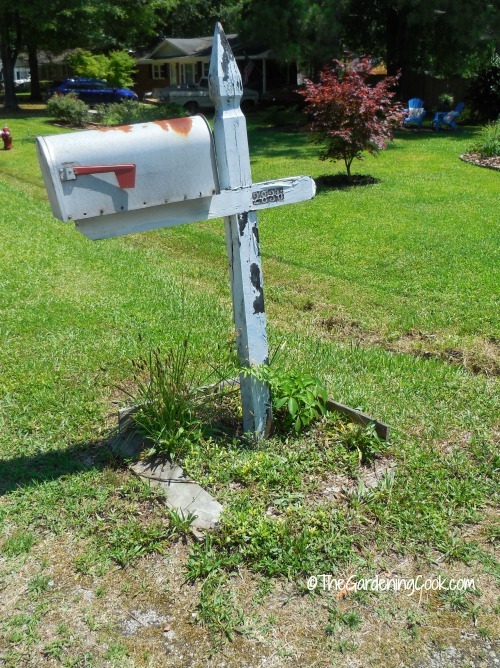 Since my old mailbox was about 4 feet back from the road, not 6 inches, it became clear why the mail person had been driving over my verge and destroying my grass! Back to the drawing board. So it was off to Home Depot, and back with a new mail box post. The next steps were doing some quick measuring and digging a hole for the new post. Since I could literally say this way my husband’s idea, I gave him a honey do list and kept him busy for a few hours while I supervised. The ground where we wanted to put the new post was very compacted from the mail truck driving over it, so it required some chiseling with a crowbar. Since the ground was so compacted, a post hole digger would not work. 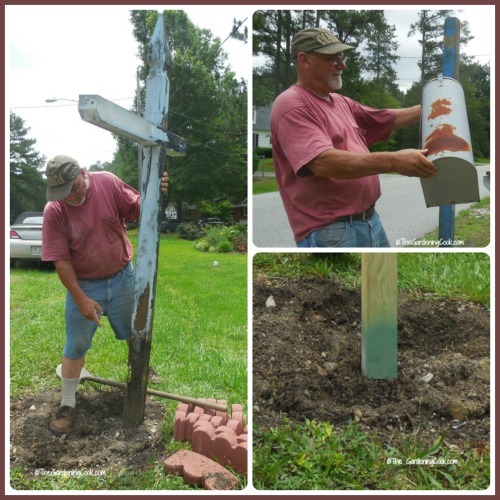 Believe it or not, he chiseled and scooped with a garden trowel to get the perfect hole 14″ deep. (affiliate link) He had an extra post that was 4 x 4 inches, so it was used as his tester. 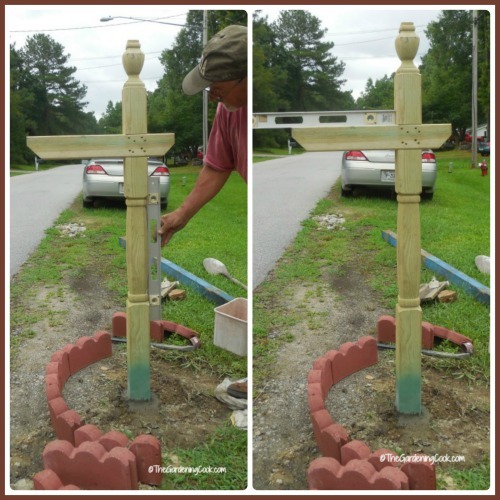 While he did this job, I busied myself with painting the bottom of the new mailbox post so it would not rot from the water in the ground. Once the hole was the perfect size, we inserted the new post into the hole, and leveled it both vertically and horizontally. 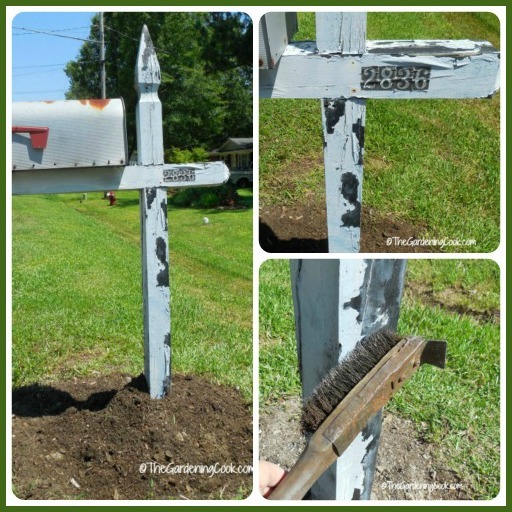 This was pretty easy due to the compact size of the hole which gave very little “wiggle room.” The next step was to stabilize the mailbox post by using quick drying cement on the edges of the hole. Richard enlarged it slightly by using the crow bar to give a bit of room on all four edges of the post. In went the quick dry concrete, and some water. (affiliate link) A bit more leveling and it was fixed. This stuff is amazing. It set in just 30 minutes and the mailbox did not move even the tiniest bit and is very stable now. 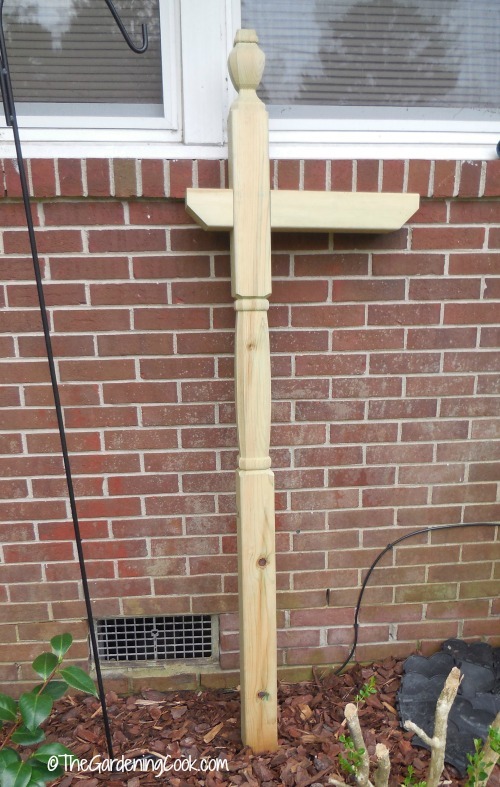 The mailbox post had an sort of unfinished top to it. 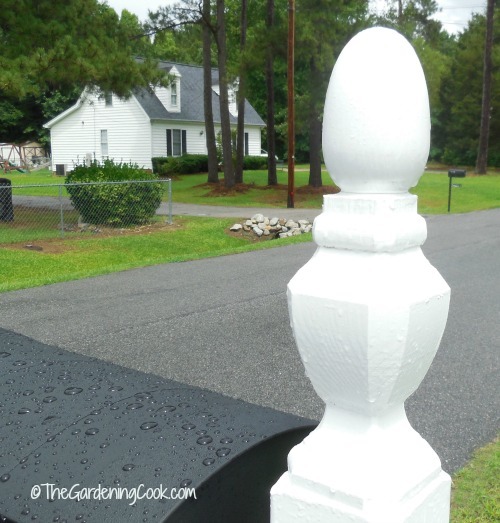 I purchased a wooden egg and we used a double threaded dowel screw to attach it to the post. It added a bit of height and the thread holds it firmly in place. 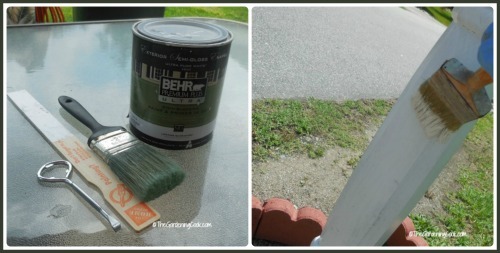 (affiliate link) Next came three coats of Behr Primer Plus Utra paint in a pure white color. 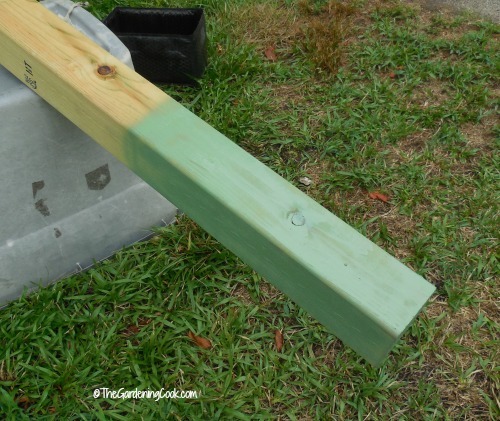 The paint is a paint and primer mixed so I did not have to use primer. It was warm the day I painted, so I finished this in just one afternoon. Two covered it perfectly, but the wood is untreated, so I figured an extra coat would protect it better from the elements. 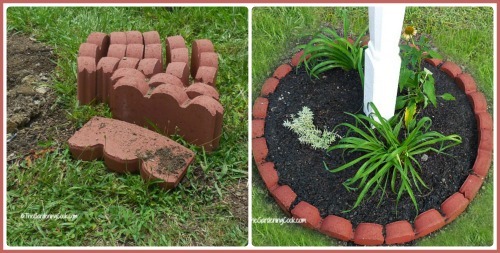 The final step was to add some potting soil and place the rounded bricks in place for my garden planter. I added two re-blooming day lilies, a Cone flower plantand a succulent ground cover in the planter. (affiliate links) They do not need much water, once they are established and it saves me from dragging my hose all the way out to the street. 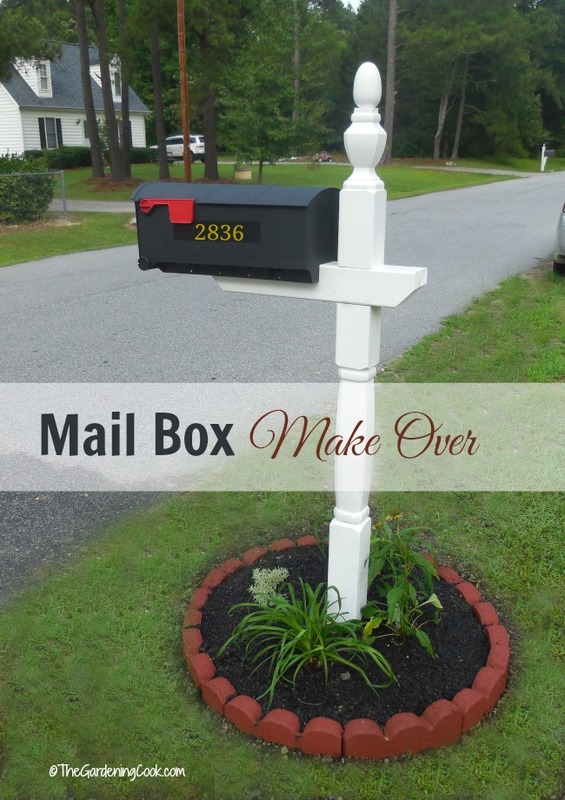 My original idea for the mailbox makeover certainly got changed along the way, but now my mailbox is perfectly positioned (42″ tall and 6 inches from the road edge). Even though my plans got totally changed, this whole makeover ended up costing only about $75. Small price to pay for this curb appeal, don’t you think? And I still have the old mailbox. I plan to use it in my test garden as a place to store my garden tools. Stay tuned for this project! It looks great – what an improvement. I always fly by the seat of the pants and plan as I go with these kinds of projects – especially when you have a willing helper. 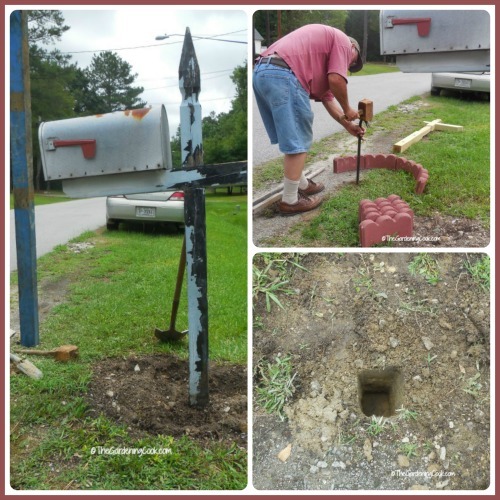 Hey, he was the one who wanted the new post AND a new mailbox…I rest my case! 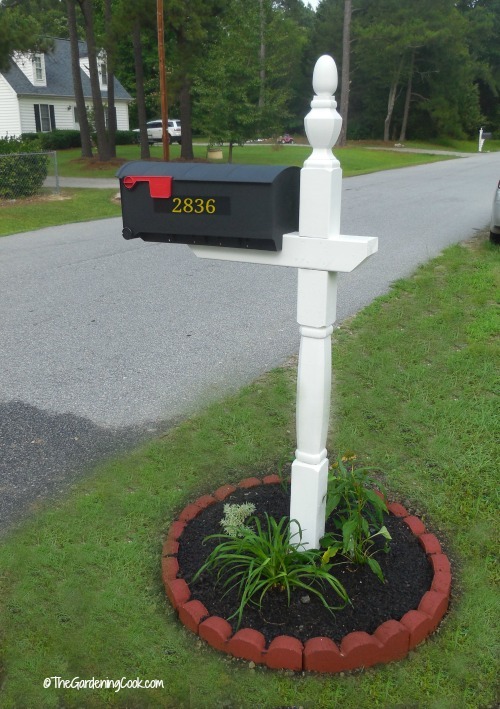 I want to plant flowers or plants around my mailbox, but the mailman will not deliver mail if plants have bees around them. I love bees but I need my mail. Any answer for the mailmen who don’t want to get stung.